“This marks one of the most significant reinforcements of our thesis on Amazon,” BMO equities research analyst Daniel Salmon wrote in a note sent to investors this morning. 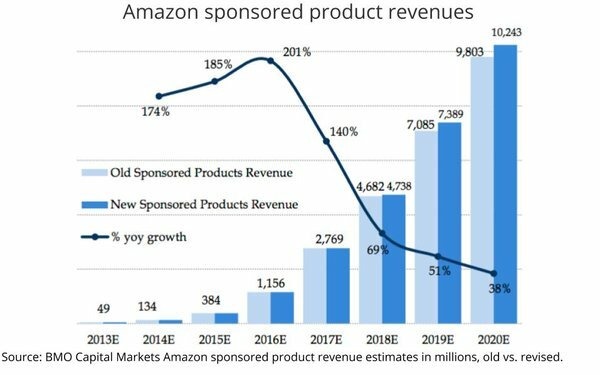 Salmon’s thesis calls for the emergence of Amazon’s advertising business to contribute to a share value to grow 44% to $2,300 price target, and he continues to maintain an “outperform” rating. 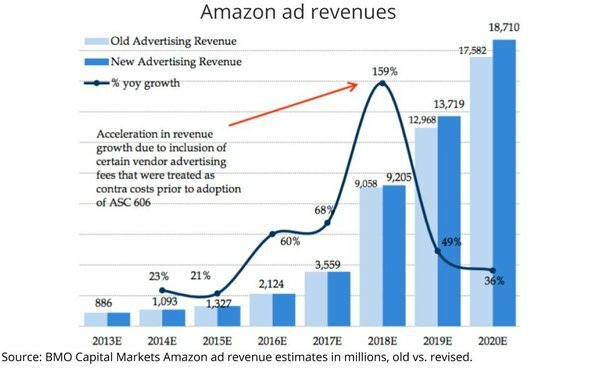 “We now estimate $9.21 billion in advertising revenue in 2018 (versus our prior $9.06 billion), $13.72 billion in 2019 (versus our prior $12.97 billion), and $18.71 billion in 2020 (versus our prior $17.58 billion),” Salmon explains.